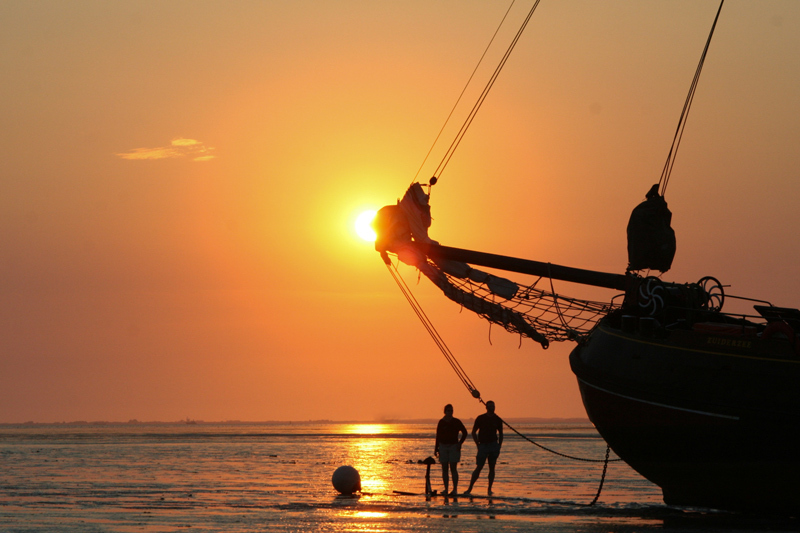 Join us and sail with us on the Waddensea! Where beautiful vistas and the smell of salt water make life so wonderful… Sun, sea, the salty air, seals in the distance and above you the sails of our authentic ship. In 2019 it will be ebb at high noon, so we will start not too early. ‘The sun has just risen and the Waddensea’ will be illuminated beautifully. You will experience a sereen silence that is hard to find in our busy life nowadays. As cherry on top, arriving at the sandbank (if the weather is calm) with her wide plateau and panoramic views. The price of 72,50 euros includes coffee and tea at reception and a lunch. Children from for up to 12 years 45 euros (0 till 3 years for free). Drinks are available at the bar for a reasonable price. – You can only make a reservation for smaller group up to 12 people. In case you would like to come with a bigger group please contact us and we will discuss the possibilities together. We are very flexible and a lot is possible or can be arranged. – Want to join as for our join in sailing trip or order a giftcard? Order your tickets online and email us to confirm a date! We will send you a reservation confirmation. – The sailing trip will take place if a minimum of 16 people has signed up, so please share this fun day out with your friends, for example on Facebook or other forms social media. – It is not possible to book this trip on another date than the dates mentioned above. All other dates are reserved for groups booking the ship exclusively.